CatCoq was founded by Cat Coquillette, a location-independent artist who finds inspiration for her artwork in the many countries she makes her home. Coquillette’s original artwork has been featured by celebrities including Jessica Simpson, Khloe Kardashian, Hillary Duff and Lucy Hale. She has had successful collaborations with Urban Outfitters, Fab Fit Fun, Modcloth, Brit + Co and has been featured in Teen Vogue, Good Housekeeping and The Ellen Show. Coquillette’s striking patterns have resulted in her engaged social media following of 45,000+ loyal fans. Her original artwork can be found on products sold at Target, Bed Bath & Beyond and Homegoods. Since signing CatCoq, JBL has already closed licensing programs with several licensees excited to debut CatCoq’s unique imagery on a wide range of product categories including wall decor, stationery, back-to-school, and gifts. Coquillette’s fresh, free-spirited designs caught the attention of many manufacturers at 2018 Brand Licensing Europe. Deals for CatCoq were signed with international companies including Paso and IconLogin. European manufacturer Paso plans on utilizing Coquillette’s unique artwork on a range of back-to-school products distributed worldwide. IconLogin will use Coquillette’s licensed artwork to display as a lock screen passcode option on Android phones. Additional programs have been brokered by JBL with Wisconsin based manufacturer, the LANG Companies, Inc. looking to diversify their product portfolio with Coquillette’s designs on stationary and dated goods. Primitives by Kathy, has signed a deal with CatCoq to license the brand’s artwork on a wide range of gifting goods. “I’m very excited to partner with Jewel Branding & Licensing to expand my licensing program to new categories and multiply the number of people around the world that my artwork touches. Through their extensive list of global licensing partners, my artwork can continue to inspire a love and appreciation for art and the wonderful planet we collectively share,” said Coquillette, founder of CatCoq. CatCoq is an illustration and design brand founded by Cat Coquillette, a world-traveling artist with a passion for collecting creative inspiration from her firsthand observations and encounters around the world. Whether she is painting florals found in the jungles of Vietnam, exotic wildlife from the Amazon Rainforest, or patterns inspired from Scandinavian textiles, Coquillette’s designs and inspiring messages of positivity bring a fresh perspective to everyone her artwork touches. She shares her artwork and detailed stories of her travels with her followers through social media, providing a fully integrated window into her experiences. 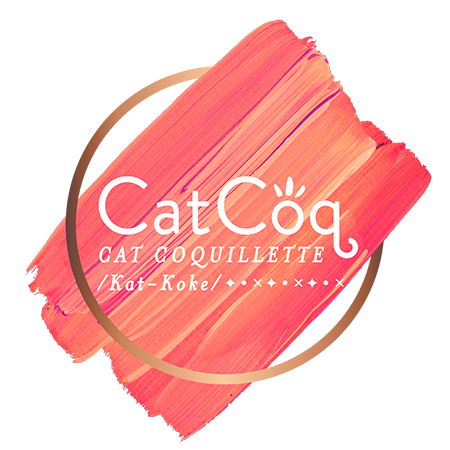 CatCoq is a brand that aspires to not only provide an exhilarating aesthetic rooted in an appreciation for culture, travel and the outdoors, but to inspire people to channel their natural curiosity by expanding their horizons in order to gain a deeper understanding of our world. For more information, visit www.catcoq.com. Jewel Branding & Licensing is a full-service global brand management and licensing agency. Headquartered in Atlanta, GA, Jewel represents a diverse portfolio of designers and design-based brands including The New York Botanical Garden, Rachael Hale, Bouffants and Broken Hearts and Collier Campbell. JBL develops and manages strategic licensing programs across a wide array of product categories at all levels of retail around the globe. For more information, visit www.jewelbranding.com.